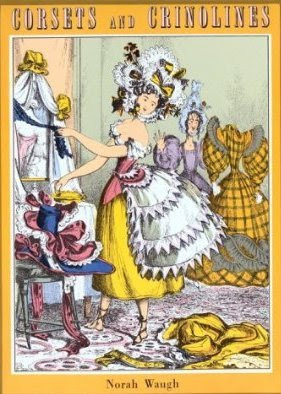 Corsets and Crinolines, by Norah Waugh first published in 1954, with frequent reprinting, contains a limited section on 18th century stays, but good diagrams, period references and citations. While mainly 19th century in orientation, this book is a good starting place for the modern staymaker. It is still an expensive reference book, and while it is nice to have on hand, interlibrary loan would be a good option.